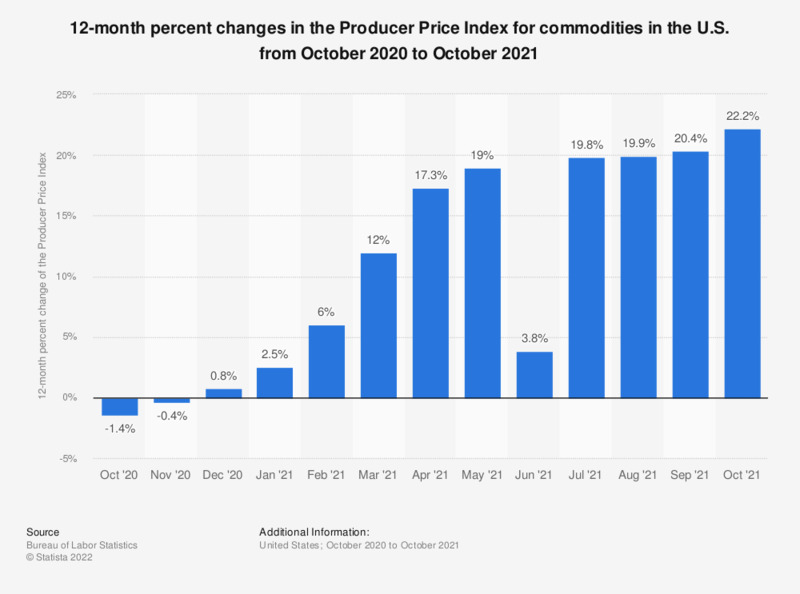 This statistic shows 12-month percent changes in the Producer Price Index for commodities in the United States of America. The commodity classification structure organizes goods and services by similarity of material composition or end use, disregarding their industry of origin. The Producer Price Index (PPI) program measures the average change over time in the selling prices received by domestic producers for their output. The prices included in the PPI are from the first commercial transaction for many products and some services. In March 2019, the PPI for commodities increased by 0.9 percent compared to March 2018. Everything On "Consumer Price Index and Inflation rate" in One Document: Edited and Divided into Handy Chapters. Including Detailed References.